1. Recognize that God has created you for a close friendship with Himself. By design, the way you hear best from God is in the context of a friendship with Him. God intends for you to figure out His will freely and intelligently as you engage in regular conversations with Him. God’s will is to be personally present with you and speaking with you moment by moment as you go through life. Then you’ll grow to understand Him more and become more like His Son, Jesus. 2. Consider your motives for wanting to hear from God. Honestly reflect on why you want to hear from God. Is it because you’re truly open to whatever God has to say and committed to putting His guidance into action and fulfilling His purposes, even when doing so is challenging? Or is it for a selfish reason, such as wanting to feel righteous or comforted? Confess and repent of any wrong motives. Ask God to give you an openness to hear and respond faithfully to what He wants to tell you. 3. Make your goal more than just hearing God. While it’s important to hear from God, that shouldn’t be your ultimate goal. Instead, make your main goal to become a spiritually mature person in a close relationship with God. That’s the only way you’ll clearly and correctly hear what God has to say to you. 4. Know that you’re important to God, but be humble. Have the confidence that God is willing to speak to you just as powerfully as He did to the people in the Bible, because He values you just as much. However, don’t let pride creep into your soul, because you must be humble in order to faithfully receive and respond the messages God has for you. 5. Don’t try to force God to tell you something. No matter how much you want to hear from God about something or how hard you may try to convince Him to speak to you, you’ll only hear from God when Hechooses to communicate with you. Focus on developing a respectful relationship with God and wait for His timing to deliver messages to you. Also, if God chooses not to give you specific guidance about something you’ve prayed about and what you’re considering is within the Bible’s moral principles, you can confidently go ahead and make your own decision about what to do and be within God’s will. 6. Recognize that God communicates in many forms, but most often through your mind. God may choose any one of many different ways to communicate to you, according to what’s best at particular times and in particular circumstances. You may sometimes hear God’s message in dramatic ways, such as through angels, visions, or miraculous events. But more often, you’ll hear God speaking through your thoughts, and He will use ordinary practices such as reading the Bible, praying quietly, learning from circumstances, or seeking counsel from other Christians to reach out to you as you think about them. God will use dramatic means to get your attention when necessary, but His goal is for you to be so closely connected to Him that you’ll pay attention whenever He speaks to you. Usually, God speaks through what people have described as a “still, small voice” to encourage those He loves to choose to keep walking closely with Him through life. Since God often speaks to you through your mind and wants you to develop what the Bible calls the “mind of Christ” (the ability to make decisions as Jesus would), it’s crucial for you to follow the Bible’s urging in Romans 12:2: “Do not conform to the pattern of this world, but be transformed by the renewing of your mind. Then you will be able to test and approve what God’s will is – His good, pleasing and perfect will.” As you invite the Holy Spirit to renew your mind every day, He will cleanse it from such dirt and clutter as false beliefs and attitudes, unhealthy feelings, and misguided plans. Then the Holy Spirit will replace all of that with true thoughts that reflect God’s purposes. 8. Invite the living Word to help you when you read the written word. The Word of God is a living, creative force – Jesus Himself – and He is actively at work when you read God’s written word – the Bible – prayerfully. When you read the Bible, ask Jesus to make the Bible’s words come alive for you and become conduits through which He sends His thoughts, faith, and love into your soul. Then focus on what He sends you and orient yourself toward it so it will begin to transform your life. 9. Recognize God’s voice above all others. By experience, you can learn to recognize God’s voice when He speaks, and to confidently respond to what He says. 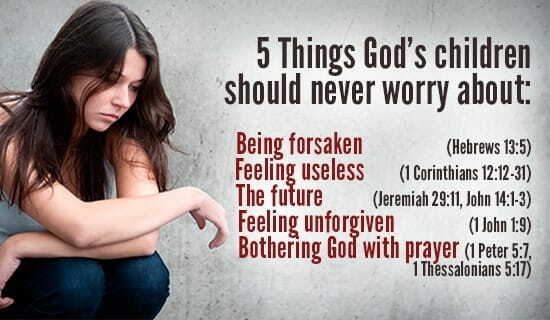 When thoughts recur, pray about them to discern if they may be coming from God. Keep in mind that God will never send you a message that contradicts the Bible’s principles. Also, God’s voice carries the weight of authority within it, and expresses a spirit of peace, confidence, joy, reasonableness, and goodwill. If you think that God may speaking to you, ask Him to confirm so as you study and meditate on the Bible, as you’re alert to the circumstances you encounter, or as you experience the Holy Spirit’s impressions in your mind. 10. Set aside time regularly to listen for God’s messages. Make a habit of intentionally and expectantly listening for whatever God may want to tell you. It’s more important to become a person who listens regularly to God than it is to constantly ask God to give you guidance. Set aside sometime today to begin listening for God's voice and hearing his promises and plans for you. Keep a journal to remember the things he brings to life in you.